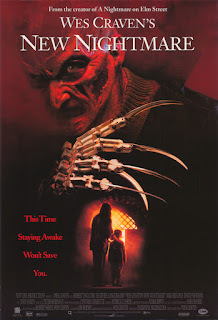 Although this doesn't quite qualify as vintage [My cut off is 25 years old] Wes Carven's New Nightmare has to be mentioned when talking about the Freddy Krueger franchise. It is easily my second favorite in the series next to the original. 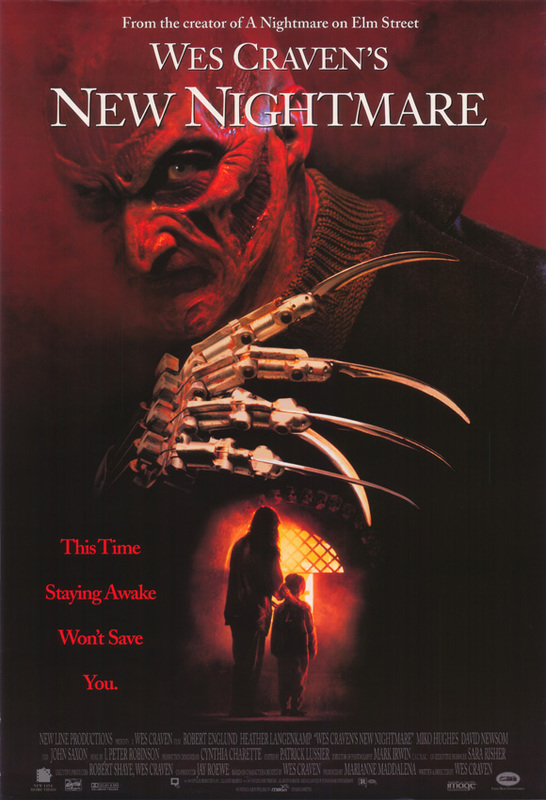 With New Nightmare Wes Craven, thankfully, took over the reins as both writer and director. Freddy Krueger is always at his sinister best when Craven is in charge of his every move. Instead of lots of snarky humor, this Freddy is more sinister and fear-inducing. I think the character is at his best when portrayed this way. The premise of New Nightmare is absolutely brilliant as we find ourselves in the "real life" world of Wes Craven, Heather Langenkamp and Robert Englund. A mechanical Freddy hand goes away during the making of a film and the cast and crew quickly begin to realize that Freddy is trying to move from the silver screen into reality. Great stuff! Heather Langenkamp, who was one of my favorite 80's horror heroines, does a great job playing herself! She is definitely the emotional center of this film just like she was in the original. In New Nightmare her son, played by Miko Hughes [Pet Sematary], also plays an important role. Hughes is just as creepy here as he was in Pet Seminary and does a great job in the scenes where Freddy tries to possess him. If you've never seen this film, what are you waiting for? Wes Craven's New Nightmare gives us an idea of what the series would have looked like if Craven had written and directed every film. I can dream can't I…or is that a really bad idea?